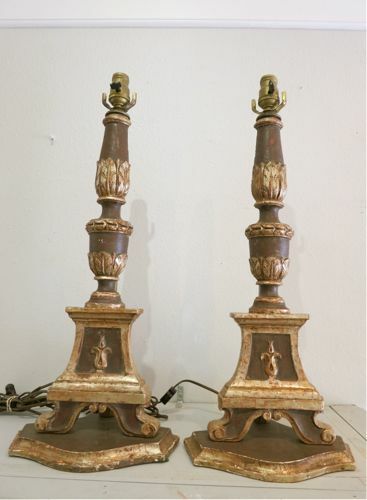 Pair of late 18th century French carved wood pricket lamps converted from old alter candlesticks. 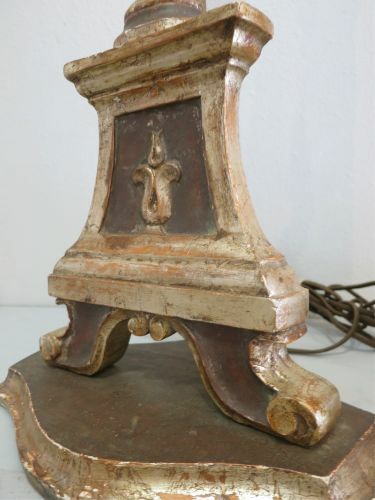 In great condition with the normal distress to the patina you would expect to find with antiques of this age. They measure 26" to the top of the light fixture, 11" wide and 8" deep, they have the original silk cord wiring. 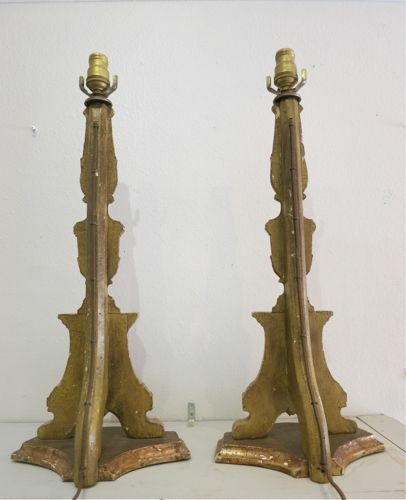 Please note: these were altersticks - thus they do not have the same carved finish on the back, commonly found on antique altersticks, only the side facing the congregation would have the carved painted finish.